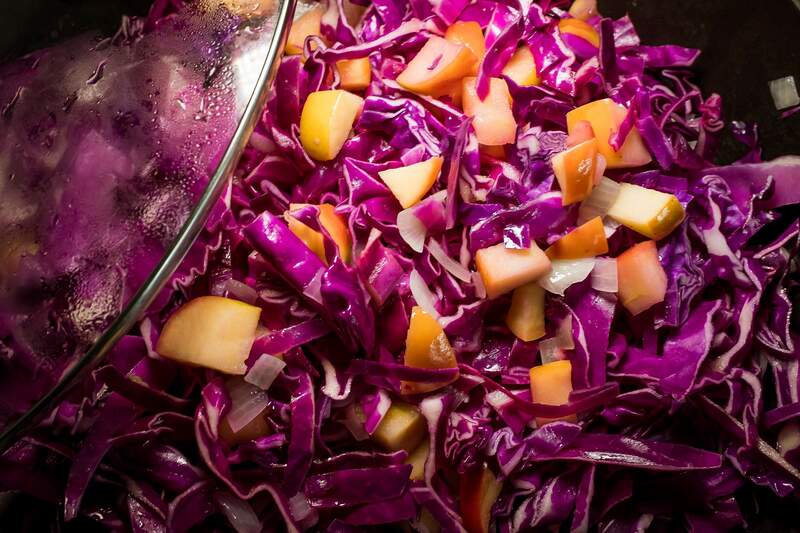 It’s purple and delicious and so easy to make. Buying a whole head of cabbage always seems like a like you are signing yourself up for a lot of work, slicing, coring, shaving, etc. But seriously this goes from ingredients to table in barely 30 mins, and it doesn’t really take that much effort at all! 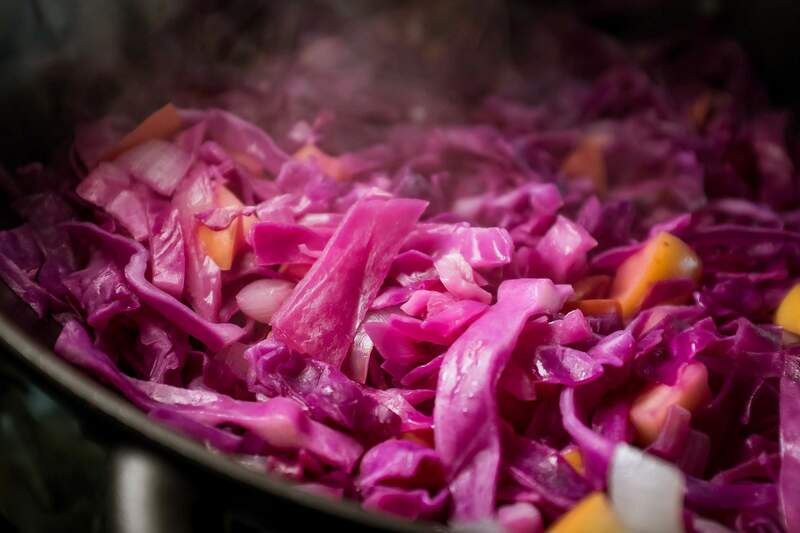 This recipe for a braised cabbage with apples and a bit of citrus is simple and quick to make… and best of all, it keeps very well and can be enjoyed cold. 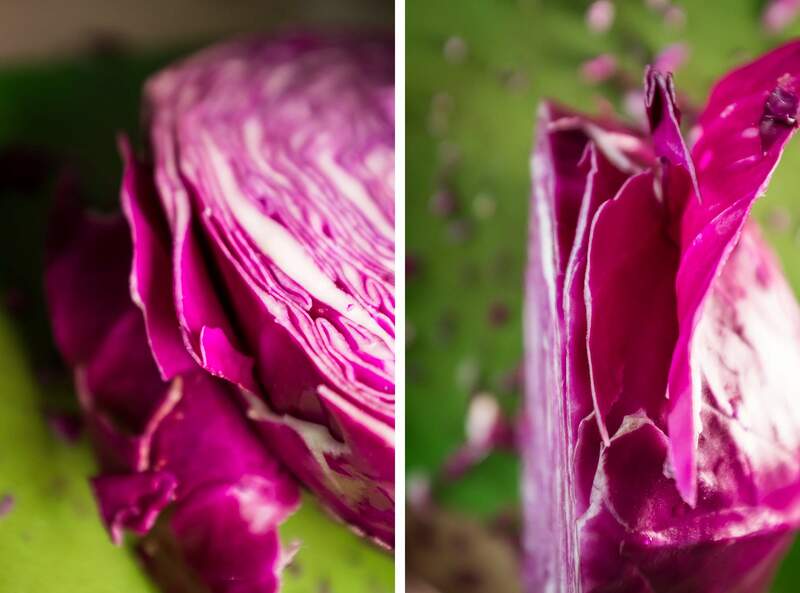 Add a bit of goat cheese to transform this beautiful cabbage into a fancy savory treat. Let’s cook! 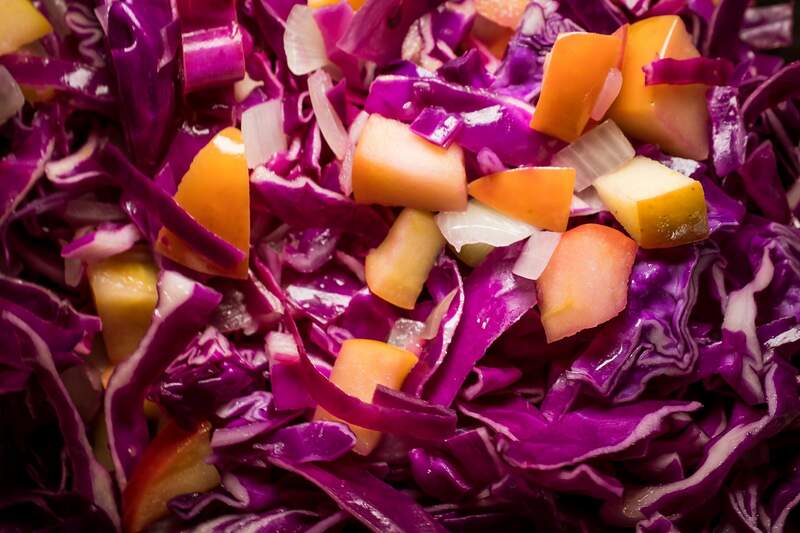 Get your big knife out and chop the cabbage in half. Trim out the core and discard. 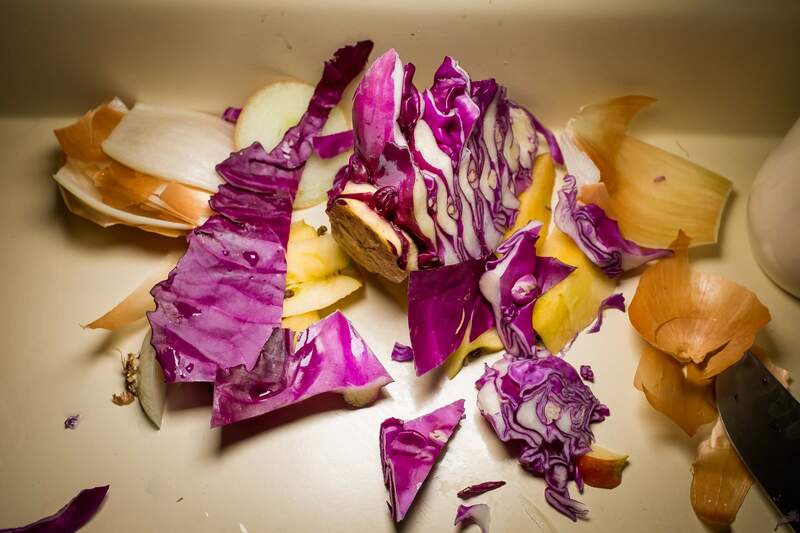 Turn the half cabbage over onto flat side and cut into 2-3 wedges. 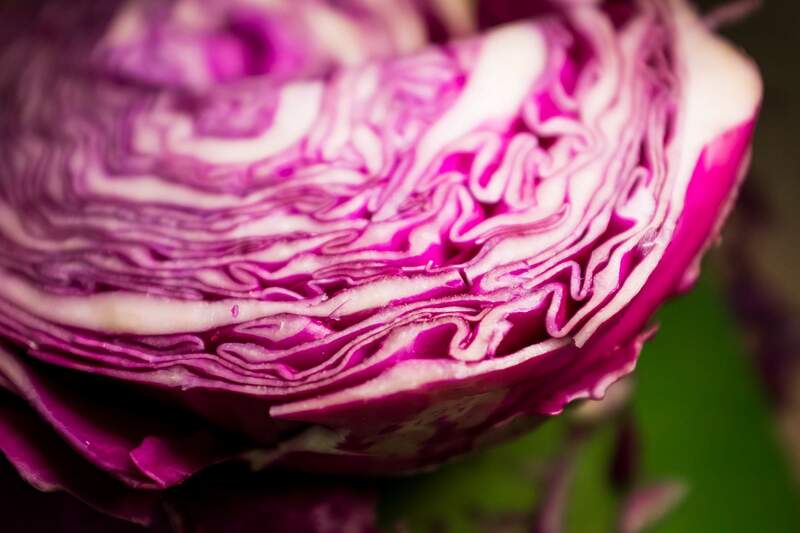 Shave each wedge to create cabbage ribbons. Dice up the onions and apples. Sautee over medium heat in an extra large fry pan or even a heavy wok with a lid (as I did). Cook until onions become translucent and slightly soft. 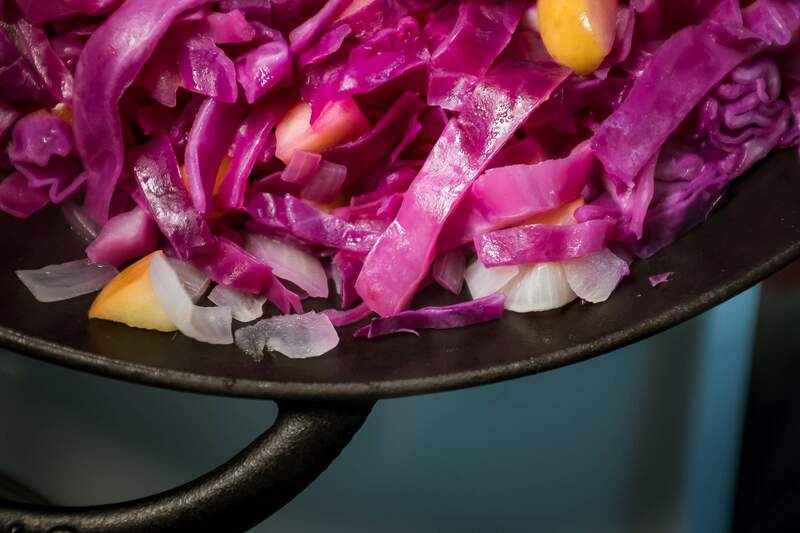 Add cabbage to pan and turn to combine. Add red wine vinegar, orange juice, honey, pepper and salt. Adjust heat to low and cover to braise for 20 minutes. Stir occasionally. Once soft, but not moooshy, remove from heat. If enjoying warm, add to plate and top with goat cheese. For a cool version, store in tupperware and chill for a few hours. I would hold the goat cheese until plating too. 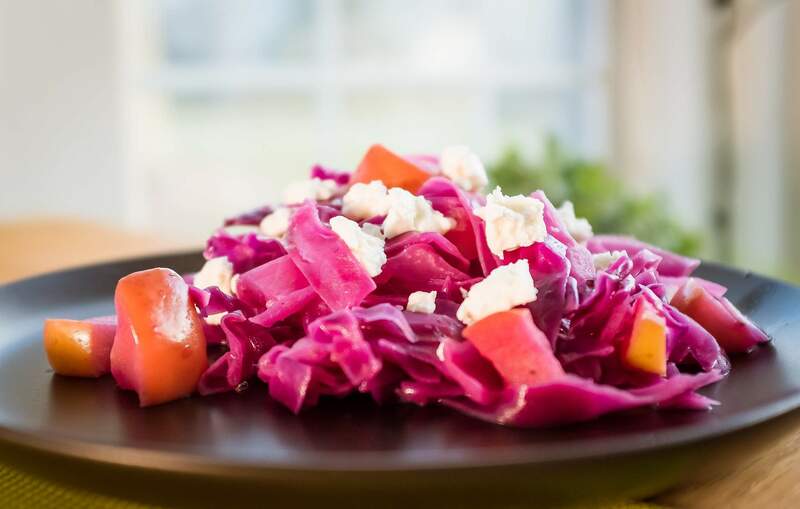 Sweet and Purple with a bit of savory goat cheese!